Providing you the best range of single jack boring stand with effective & timely delivery. 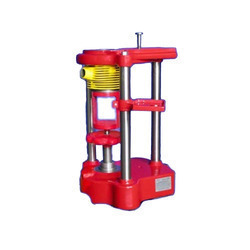 We are one of the leading suppliers, traders and manufacturers of optimum quality Single Jack Boring Stand. Manufactured by us in compliance with the industry set standards by using advance machinery installed at our manufacturing unit, these stands are known for their high resistance to corrosion and robust design. Due to our large production capacity, we have been able to offer these single jack boring stands in bulk quantities. Looking for Single Jack Boring Stand ?